Fungal Nail Treatment by your Family Podiatrist in Cottesloe Perth. Fungal nail treatment for infections is a common type of general foot care. Our experienced podiatrists here at The Foot Clinic Perth use a range of effective techniques and treatment methods to help you get rid of a fungal nail infection. If left untreated, affected nails can be permanently damaged and infection can spread to other, previously healthy nails. Secondary infections can also occur in the surrounding skin. What if my nails are infected? Fungus thrives in wet, warm areas. 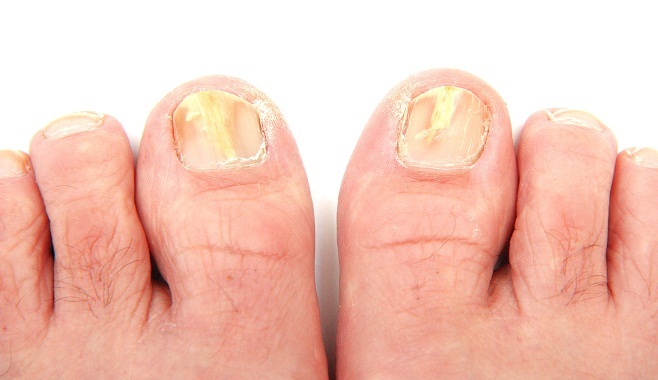 Fungal nail infection may have been caused from use of a communal area such as a shower or public change room, or it may be caused by a trauma suffered to the nails. The symptoms include discolouration and thickening of the nails. We can provide a clear diagnosis and we may send samples of the nail for culture if required. An appropriate fungal nail treatment plan will be created for you to alleviate any discomfort and improve the health and appearance of your nails. Fungal nail treatment may consist of a process where we file off the top layer of the nail, so a topical antifungal treatment is more easily absorbed. We may also recommend a particular topical treatment based on the severity and type of fungal infection, as well as considering any existing allergies or other medical conditions. If we do not think that you will benefit from a topical antifungal treatment, or you have previously used them without success, we may refer you to your GP to discuss systemic antifungal medications, or for fungal laser treatment. The fungus itself is often caused by exposure to water or damp environments. But even the sweat accumulating in tight shoes can cause fungal nail problems.The first visible symptoms are often areas of yellow or white discolouration under the top end of a toenail, or perhaps crumbling and thickening of the nail. It’s important to come and speak to a podiatrist as soon as possible if you detect any symptoms of fungal nail infection. The sooner the problem is detected, the higher the chance of treatment with basic techniques. We have helped many patients resolve fungal nail infections as well as many other skin and nail problems at The Foot Clinic. We all know how important your feet are to help you move around, do your work, and to fully enjoy life on a daily basis. We use our many years of experience to work out a personalised treatment plan that helps you back on your feet as soon as possible. If you have any type of skin and nail problem, please contact our reception team or visit our website today to make a booking. Read about the treatments we offer at The Foot Clinic and how, specifically, the PowerPlate is a great treatment method. A passion for podiatry and feet! Podiatry for Athletes: Get Ready To Run! For the last 10 years Suresh has been the Director and Senior Podiatrist for The Foot Clinic in Cottesloe, Perth. During this time he was also a Director of Sports Medicine Australia (SMA) and currently sits on the board as WA Trustee for AAPSM. Arch Pain? Foot strengthening exercises can help! Posterior Impingement Syndrome? What is it?